Singhs re-construct the Chabeel at Gurudwara Sees Ganj Sahib which was demolished by BJP controlled MCD with help of thousands of Police force. New Delhi: The situation continues to be tense at Chandni Chowk area of Delhi as the Municipal Corporation of Delhi (MCD) officials assisted by the Delhi police demolished Bhai Mati Dass Chhabil near Gurdwara Sisganj Sahib. The incident reportedly took place early morning today when MCD workers started bulldozing the Chhabil. When the Sikh sangat came to know about it they raised objections which led to police action and a clash took place between the police and the Sikhs. 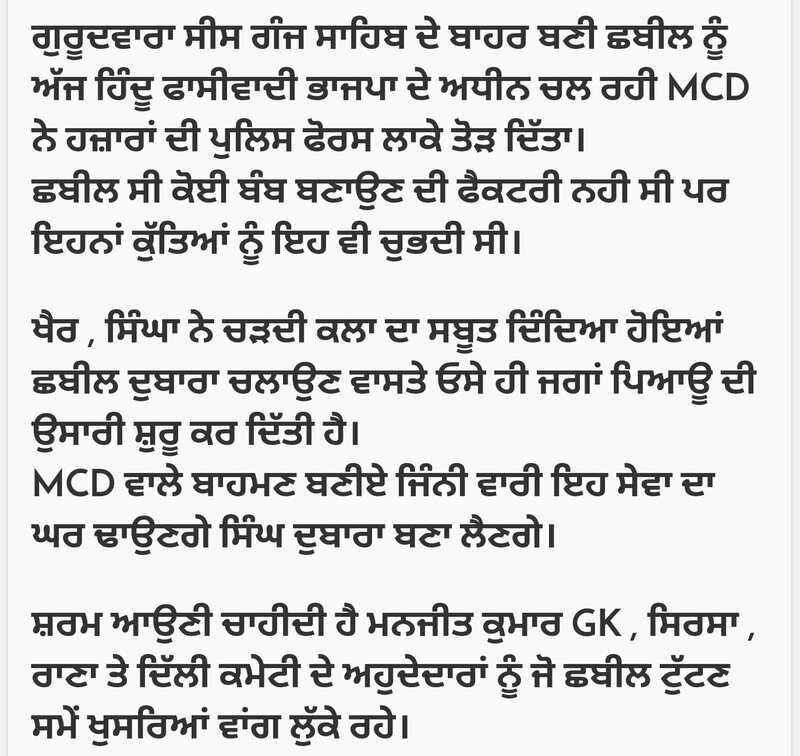 The MCD had reportedly acted on the complaint of local Market committee president Mohan Bhargav. Soon after the news spread more Sikhs started gathering in Chandni Chowk area. 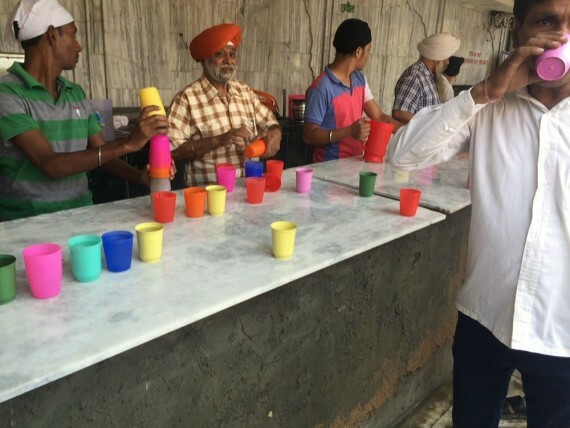 Delhi Sikh Gurdwara Management Committee (DSGMC) officials also visited the place. 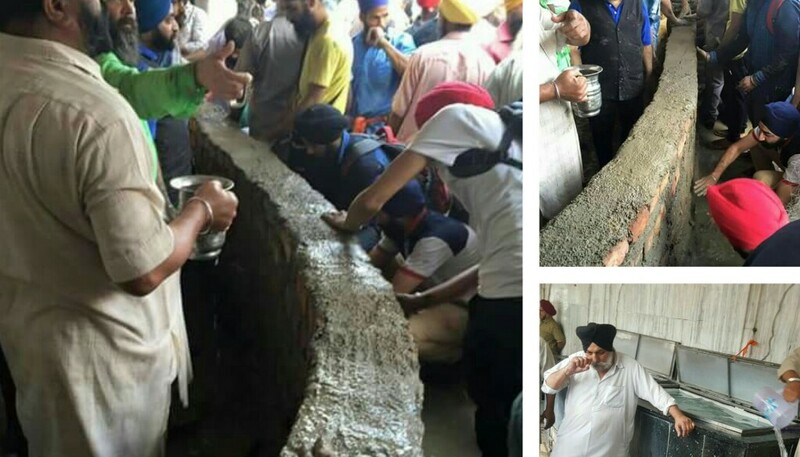 Sources told Sikh Siyasat News (SSN) that the Sikh Sangat raised a rebuilt a temporary structure for Bhai Mati Dass Chhabil. The Sikh Sangat was angry with the DSGMC officials as the MCD serves prior notice to the possessor of any structure to be demolished by MCD. Sikh Sangat reportedly surrounded DSGMC secretary Manjinder Singh Sirsa and other officials accusing them of failure to prevent demolition of Bhai Mati Dass Chhabil.